Rochdale Borough Council is confirming that a wind turbine pilot site at the former Hill Top School in Kirkholt is now fully operational and already generating electricity. 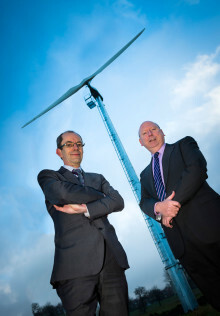 Council plans to generate up to £400,000 of local income through innovative wind energy programme. A team from Rochdale Borough Council took up the Climate Week Challenge in a bid to inspire others to live and work more sustainably.